Will you get the 2009 H1N1 Vaccine? I'm planning on getting the vaccine if I can and I'll make sure my kids get the vaccine. It is all about the risk vs. benefit for me. What are your plans and why? First H1N1 Death in Minnesota. The first death in Minnesota of the H1N1 or also known as the Swine Flu. The five year old girl died on June 15, 2009. The very young girl did have multiple medical conditions before becoming ill.
To find more on this go to this link. The latest information from Pandemicflu.gov explains the next steps toward an H1N1 influenza vaccine. The Biomedical Advanced Research and Development Authority (BARDA), which is part of the Dept. on HHS, has an official "fact sheet" explaining 2009 H1N1 Vaccine Development Activities. Vaccines work by tricking the immune system into thinking it has been infected with the H1N1 swine flu virus so that it creates antibodies against it. The vaccine is a hybrid of the virus which is similar enough that our immune system will develop antibodies against a specific virus. 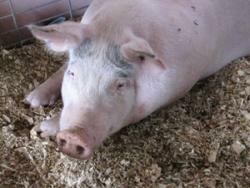 How is swine flu vaccine made? We are now starting step 4. Can vaccines be made without using eggs? "The federal government has given the vaccine industry $1.3 billion to spur a shift from growing the viruses in eggs to growing them in stainless steel tanks containing mammalian cells.